The beauty of muffins is their versatility. Sure, the obvious choice is to enjoy them for breakfast. But, they’re also a great afternoon snack or just an easy thing to grab when you’re feeling a bit hungry. 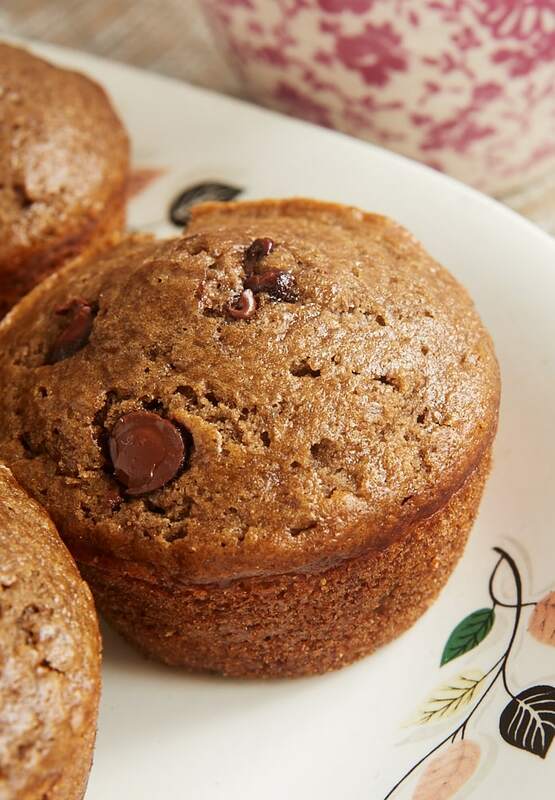 Add some chocolate to those muffins, and you may just be tempted to eat one for dessert. That’s the case with these Chocolate Chocolate Chip Muffins. They have a double dose of chocolate, with both cocoa powder and chocolate chips. They’re an extra special breakfast treat, but don’t be surprised if you crave one for dessert, too. Most everyone is familiar with making muffins, and these hold no surprises. That’s not to belittle them in anyway. Because they’re really good. We decided fairly quickly that these were the best chocolate muffins we’d ever had the pleasure of eating. I had worried that the amount of cocoa wasn’t enough to make them over-the-top chocolate, but it was just right. This is definitely a keeper recipe for a quick muffin you can enjoy all day long. Keep them tightly covered and you can enjoy them for a few days whenever the craving strikes. 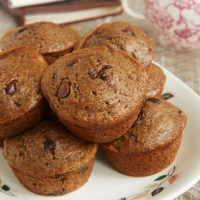 Chocolate Chocolate Chip Muffins offer double the chocolate for a sweet morning treat or snack. Preheat oven to 375°F. Grease or line a 12-cup standard muffin pan. Whisk together the flour, sugar, cocoa powder, baking powder, baking soda, and salt. Stir in 3/4 cup chocolate chips. In a separate bowl, combine the milk, butter, egg, and vanilla. Make a well in the center of the dry ingredients mixture. Add the milk mixture, and stir just until blended. Spoon the batter into the prepared pan, using about 1/4 cup of batter per cup. 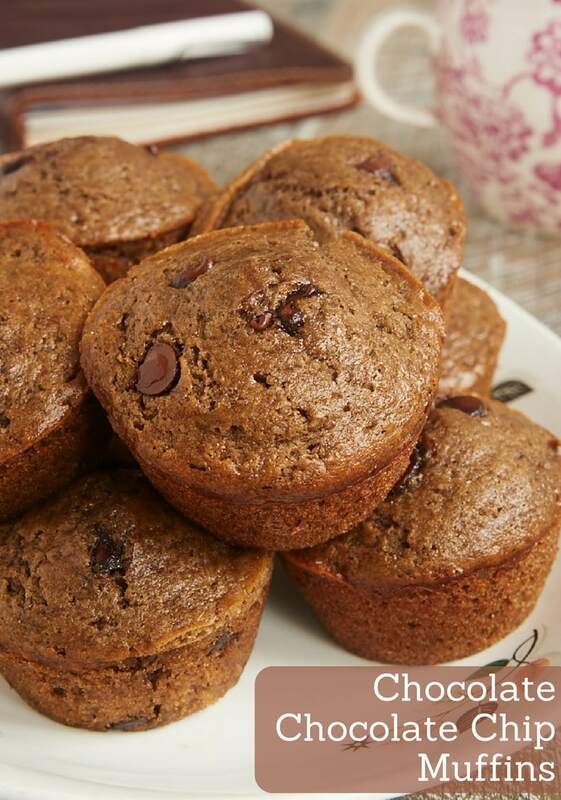 Sprinkle the remaining 1/4 cup chocolate chips on top of each muffin. Bake 15 to 20 minutes, or until the muffins have darkened and a pick inserted into the center comes out clean. *You can substitute 1/3 cup + 2 teaspoons vegetable oil.